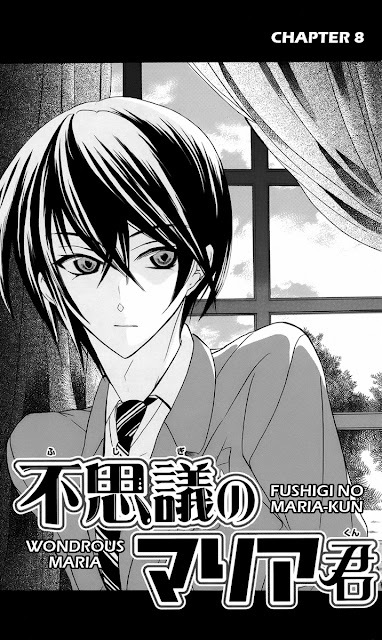 This is the second to last chapter of "Fushigi no Maria". You can consider this the last of the arc started in chapter 7. This chapter gets to the heart of Maria's feelings about Toko. It's quite sweet. Also, there's a good amount of comic relief provided by Simon and Maria's mother. I enjoyed working on this chapter quite a bit. Link to "Fushigi no Maria" Chapter 8: (Zip) (PDF) -- Please do not upload either of these files to any of the manga aggregation websites. Next up is the final chapter of "Fushigi no Maria." It should be released on Monday (sorry, but tomorrow night is devoted to the Oscars.) After that, we will do sequential releases of "Furou Kyoudai" (including two omakes) for the next week or two. "Pochamani" and "Magnolia" will come soon after.